Easy Listening, Economic Ruin, Keeping It Real, King James Bible, Liberate your Mind!, Live Like It's Legal, Vote Wikiriwhi! King Timothy’s Future Love Paradise! La la la la Just imagine dethroning the Queen of England !??? Imagine if I were King! Oh how the world would be a much brighter place! I once wrote a Queens birthday Radio show yarn on why I thought she was quite certainly one of the better monarchs of history… for example she does not impose her personal religious beliefs upon the Plebs… as was common practice a few hundred years ago. As a Libertarian I believe New Zealand ought to become a constitutional Republic, yet this does not mean I dont like the Queen, or that I would support *any and every* Kiwi political Republican ambition as I am well aware of the possibility of a much worse form of government being established than what we have under the Commonwealth. I am indeed very sceptical about such a move when our parliament if packed to the brim with Communists, racists, and Fascists. Yet still this post was motivated by a very strange, silly, and tyrannical Statist Law. A supposed crime of thought. In Libertarian circles such thoughts…. and even actions… are a right, and a duty. To even “imagine” toppling the Queen or the abolition of the monarchy both remain punishable by life imprisonment in each and every country under the reign of the Queen, particularly in the UK, local media report. This came after the UK Ministry of Justice was left embarrassed following the announcement that a list of 309 offences due to be repealed before May mistakenly included a call for the abolition of the monarchy. The government was quick to reiterate that it is still illegal to even “imagine” so and one that imagined so could be imprisoned for life. 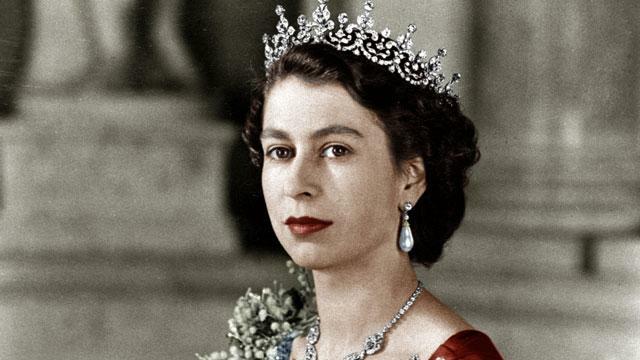 To imagine deposing the Crown or waging war against the Queen is still theoretically punishable by lifetime jail, although nobody has been prosecuted under the law since 1897, it has been claimed. A routine notice from the Home Office had suggested that Section 3 of the Treason Felony Act h1848 had been repealed. Following the announcement, campaign group Republic said it welcomed the news that a law banning public calls for the abolition of the monarchy had been scrapped. “ … we have long called for the repeal of this law and we are pleased that parliament now formally acknowledges that republicanism is a legitimate and mainstream point of view … we have repeatedly publically and unequivocally called for the abolition of the monarchy without any legal threat,” said Republic’s spokesperson Graham Smith.. However, the Ministry of Justice said embarrassingly that it has been a mistake to announce that the law is scrapped, reiterating that republicanism still carries the title of crime punishable by life in prison. The monarchy in Britain is not only an unaccountable, totalitarian and expensive entity, but it also is a hereditary institution within which the Queen and her family cannot be held to account at the ballot box. Previous PostA question of harm and government’s dutyNext PostDoes the Bible condemn laziness and stupidity?